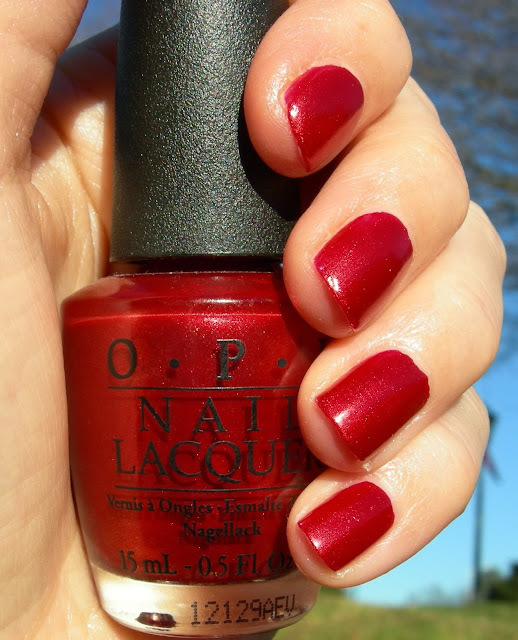 Today's polish is OPI's An Affair in Red Square. I chose this polish for the upcoming Christmas festivities. This gorgeous red shade is perfect for this time of year. This polish applied like a dream on my nails. It has a smooth formula and I had no problems with streaking. I could have gotten away with just one coat of polish, but for a slightly deeper color I applied two coats.